COL Tamatha A. Patterson earned her commission through the University of Tennessee at Martin (UTM) Reserve Officers Training Corps in 1990. Her previous assignments include Chemical and Training Officer, 2-158th Aviation Regiment, 6th Cavalry Brigade; Platoon Leader, Central Turn In Facility, 289th Quartermaster Company & Executive Officer, 62nd Quartermaster Company, 553th Quartermaster Battalion, Fort Hood, Texas; Executive and Subsistence Officer, 13th Corps Support Command during Operation Sea Signal, Joint Task Force 160, responsible for the requisition of food, clothing, and personal items for more than 50,000 Haitian and Cuban migrants seeking asylum in the United States, in 1994, Guantanamo Bay, Cuba; General Supply Officer, Brigade S1/Adjutant, Headquarters & Alpha Company Commander, 801st Main Support Battalion, 101st Air Assault Division (Airborne); Army Intern & Deputy Director, Law Enforcement Support Office, Defense Logistics Agency, Fort Belvoir, Virginia; Battalion Executive Officer, 262nd Quartermaster Battalion, Brigade Operations Officer, 23rd Quartermaster Brigade, & Quartermaster Officer Basic Course Chief and the Deputy Inspector General, Sustainment Center of Excellence (SCOE), Fort Lee, Virginia; Commander, Special Troops Battalion, Third Army, Army Central Command, Fort McPherson, Georgia, Camp Arifijan, Kuwait, and Shaw Air Force Base, South Carolina; and a Military Assistant to the Department of Defense Executive Secretary in the Office of the Secretary of Defense and 23rd Quartermaster Brigade Commander, Fort Lee, Virginia and the United States Army Combined Arms Support Command/Sustainment Center of Excellence, G3/5/7. 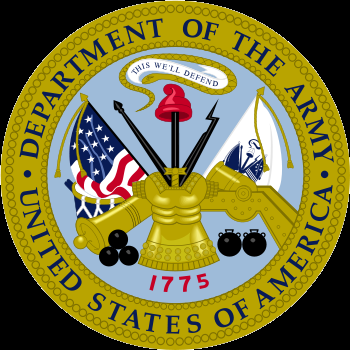 Currently as the United States Army Combined Arms Support Command/Sustainment Center of Excellence Chief of Staff. She has a bachelors degree in Secondary Education from UTM and master’s degree in Education from Old Dominion University and National Resource Strategy from the National Defense University (NDU). Her military education includes the Chemical Officer’s Basic Course, Battalion Motor’s Officer’s Course, Hazardous Cargo Course, Master Fitness Course, Quartermaster Branch Qualification Course, Combined Logistics Officer’s Advanced Course, Petroleum Officer’s Course, the Combined Arms and Service Staff School, Joint Course on Logistics, Command and General Staff School, the Inspector General Course, and the Dwight D. Eisenhower School, NDU. Her awards and decorations include the Joint Meritorious Unit Award (1 OLC), Defense Superior Service Medal, Legion of Merit (1 OLC), Defense Meritorious Service Medal, Meritorious Service Medal (2 OLC), Army Commendation Medal (4 OLC), Army Achievement Medal (2 OLC), Global War on Terrorism Service Medal, Humanitarian Service Medal and the National Defense Service Medal, Parachutist and Air Assault badges.